Alex began his career as a playwright in New York City penning various works like a musicals “The Bodyguard” and “On Your Feet” and the critically acclaimed plays “Still Life,” and “Red Dog Howls.” He was kind enough to take time out of his busy schedule to answer all my questions about the early stages of his career, what the future brings after the Oscars, his favorite recipe and….the secrets behind Birdman’s screenplay. This interview was originally featured on my blog Calde Delizie, here are all Alexander’s answers: if you’re curious, read on! What was the exact moment you decided you were going to be a writer? The funny part about it is that I’ve never made that decision. My whole life I worked in restaurants to make a living and what I aimed to do was to direct theater. Unfortunately, I never had enough time to focus on that career so by the beginning of 2000 I had been directing only small shows. One day an actress friend of mine asked me to help her choose a piece to do in class. Since I couldn’t find anything that would suit her exact spirit, I ended up playing around writing a script that I did not even sign: her performance went so well that it got me started. When I got home from the restaurant at 2 in the morning, I could not obviously direct anything, but I could sit down at the computer and write. People stared paying attention to what I wrote and little by little I have been asked to write and paid for it. So I became a writer “by accident”. Which line of all the ones you wrote represents you the most? Out of all the lines you can write, sometimes one sticks out and hits a certain truth. One I like to remember is from a scene in Birdman that I wrote, even if we all worked very closely, where Ed Norton and Emma Stone are playing a Truth or Dare game. She asks if he wants to fool around with her and when he answers “No”, she is taken aback and provoking him she says “If you weren’t afraid, what would you do to me?”. They are sitting on a balcony overlooking 45th street, which represents the beautiful quintessential Broadway, and he walks close to her saying “I would pull the eyes out of your head and I would stick them in my own skull, and then look at the street and see it the way I saw it when I was your age”. I feel very strong about this line, because it is extremely personal. Working in theater can be so romantic and you get the butterflies, but when you work long enough at anything that initial feeling starts to fade a little bit. That was what the character wants to express and that was my exact sentiment: whenever something is true and personal, it ends up giving life to the better lines. Theater plays communicate to a live audience while films have the filter of the screen. Do you feel that Birman has created a new theater/film genre? Birdman screenplay’s choices are a case of form following function. The hybrid theater-slash-film became the right environment for Alejandro’s vision of a dark comedy about the ego. What could be better than theater? It is full of ego, full of monologues and it fits very well with the original concept of doing the movie in one shot. I don’t think we invented anything new: if you look at the movies of John Cassavetes or Woody Allen you see theater on film, which is to say long scenes, personal acting, but not a lot of shocks. Basically, movies that are stories told in pictures. Probably with Birdman we rather reimagined that genre. In fact you went even further and introduced the superhero! It is again form following function. Superheroes movies are dominating the summer movies, ten years from now, if it was all westerns, we would have written something about a western. The choice seemed appropriate at the moment and the bonus of it was that the superhero is the definition of the ego. It was too perfect: Birdman had become Riggan’s ego. 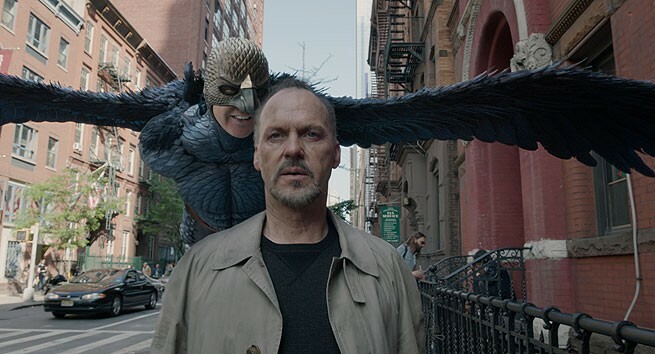 Can you tell me one secret about the [Birdman] screenplay that you’ve never told anyone? That I am going to tell you? Ok! There was a time before Birdman was Birdman when it wasn’t a superhero following the protagonist around a theater, but the famous Shakespearean American actor Edwin Booth. The movie was to take place in the Booth Theater on Broadway and we had the thought of the ghost of this great actor, possibly played by was Al Pacino in a black coat, following Michael Keaton behind the stage… to be honest it wasn’t even Michael Keaton at that time and we never asked Al Pacino! And now you have your secret. I can’t imagine what it felt like winning an Oscar. It must be a really exciting time for your career, tell us something about your next projects? The odd thing is that when we wrote Birdman nobody thought we were going to win anything… we didn’t even know if anyone would want to go see the movie at all! 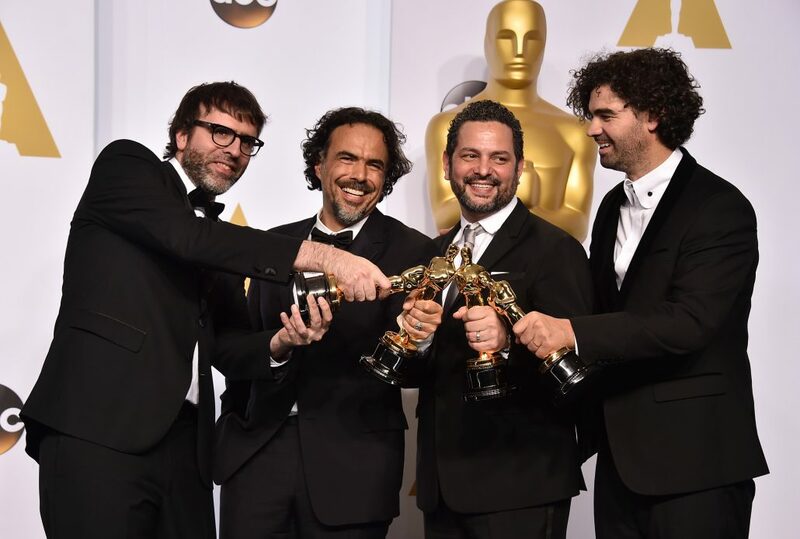 And since Alejandro, Nico, Armando and me are also friends and wanted to keep working together, some time before winning the Oscar we agreed to do a television show with Nico and I writing it and Alejandro directing. It is a 10 episode drama we are shooting for Starz with Ed Harris, Hillary Swank and Ed Helms that will probably premiere fall 2016. So even if I won the Oscar and I have wonderful offers coming in, I can’t really do them, because I’m working full time trying to get these 10 episodes out. Which form of writing is your favorite? They are very different, but in the end you are just chasing down a story and finding the best form to say it. TV is what I’m focused on right now, I’ve been a fan of films since when I was a child, and I’ve been doing theater my whole life. It is nice to have the possibility to follow different projects, because you don’t get stuck only in one. 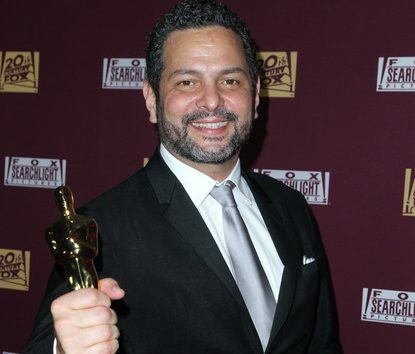 The miracle is that I feel very very very blessed and grateful: any of these projects, having a musical on Broadway, writing a TV show for an important network or winning an Academy Award, would be a life’s dream. Having all three happening at once is a miracle. That’s why I just keep my head down so nobody notices it! 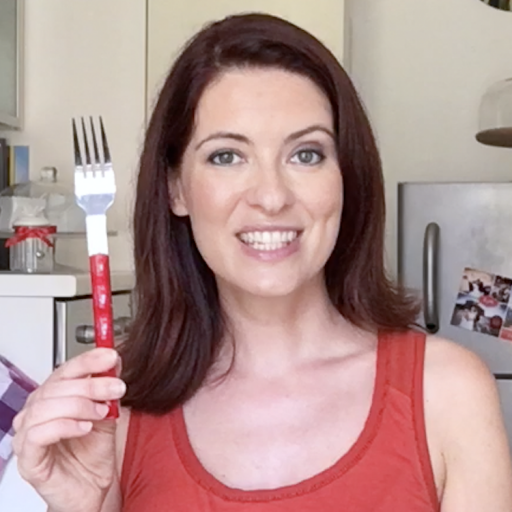 What is the story of your favorite recipe? I like to cook very much and I enjoy preparing meals for my family. I want to share with you the first dish I cooked for my wife when we were just dating. 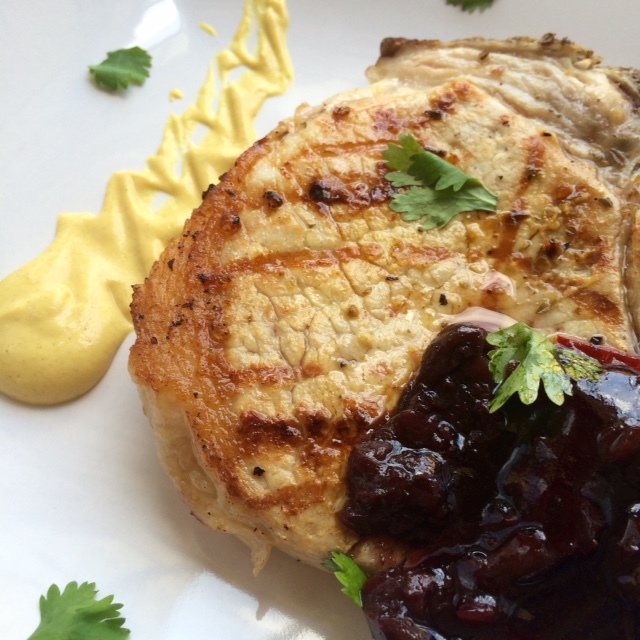 I set the table in my very little apartment in New York and I served seared pork chops with a special salsa. You take a thick cut of pork and you do the seasoning with a lot of coarse salt so you burn it off in the pan. Add pepper, oregano, Dijon mustard for flavor and, my favorite, a touch of honey (just a touch) to sweeten it. And then make a CHERRY salsa. Prepare it like you would make a regular tomato salsa, but instead of tomatoes you use cherries, onion, garlic, jalapeno, salt, pepper and cilantro. Sear the pork chop (I burn them on the outside and keep them soft pink on the inside) when it’s done put the salsa on top. It is hot and sweet and salty… amazing!